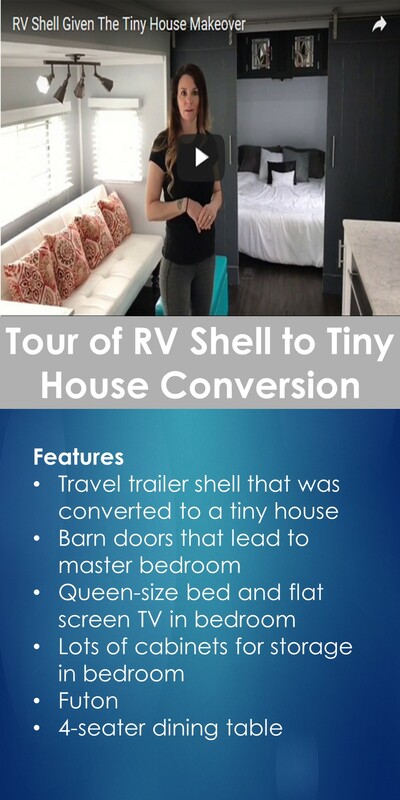 This tiny house was converted from an RV shell. The interior and exterior is beautiful. This tiny house was built by the Tiny Hamptons Homes.